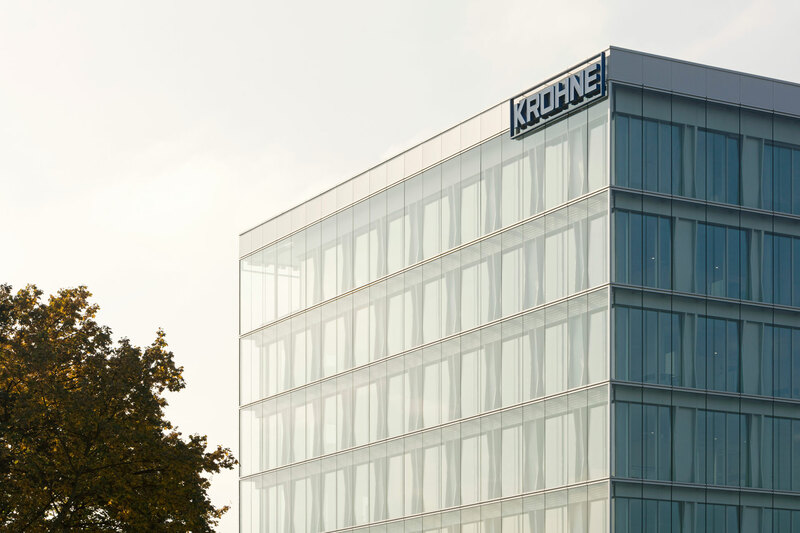 The new headquarter of Krohne in Duisburg, Germany is an outstanding project regarding sustainable, efficient and economical construction. The integrated design process offers the possibility to influence the building development already during the competition stage. This integrated process allowed project specific and optimized solutions to achieve the ambitious targets of the project. The climate and energy concept was developed to meet the specific needs of the building considering the intended usage, local boundary conditions and the local climate. 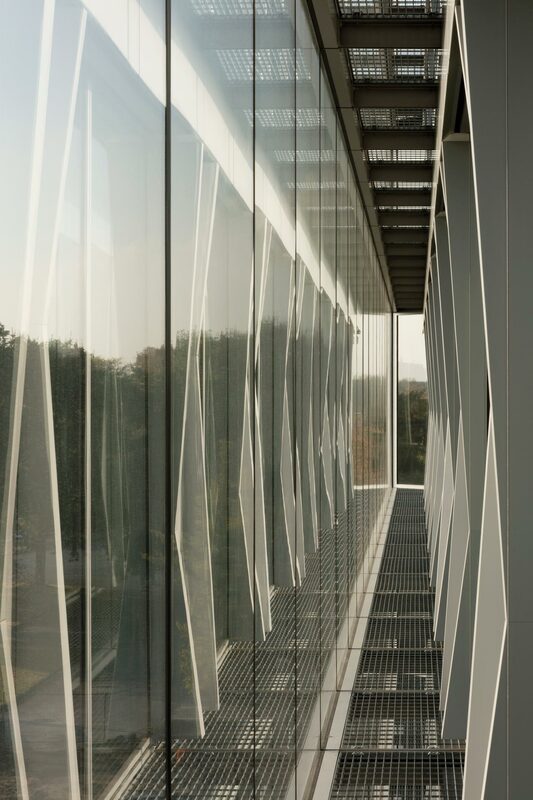 Especifically the integration of structure and facade as well as the optimized use of daylight leads to a high user comfort and a low energy consumption and low CO2-emissions during operation. The building is equipped with a double facade to reduce noise pollution by the nearby located highway. 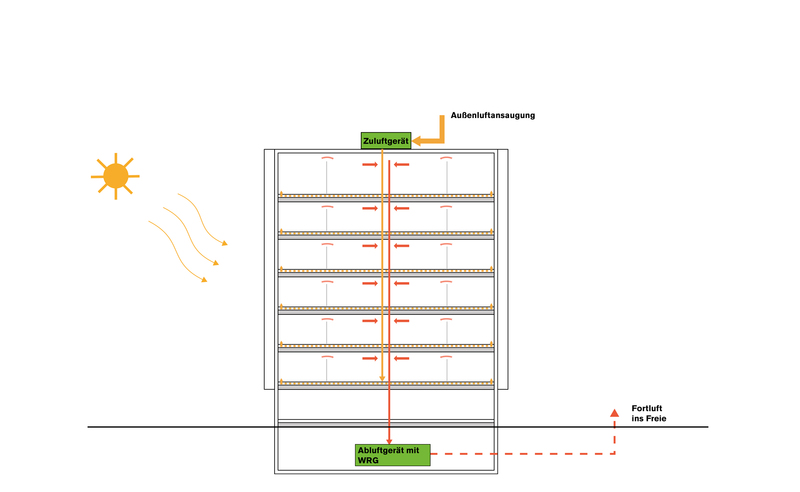 The double facade also increases the comfort and possible operation times for natural ventilation via operable windows. If outside conditions are not favorable the building is ventialtion with a mechanical system. A special feature of this project is the embedded acoustic layers within the concrete ceiling. These elements are integrated with a distance of 30cm and allow a homogeneus ceiling. 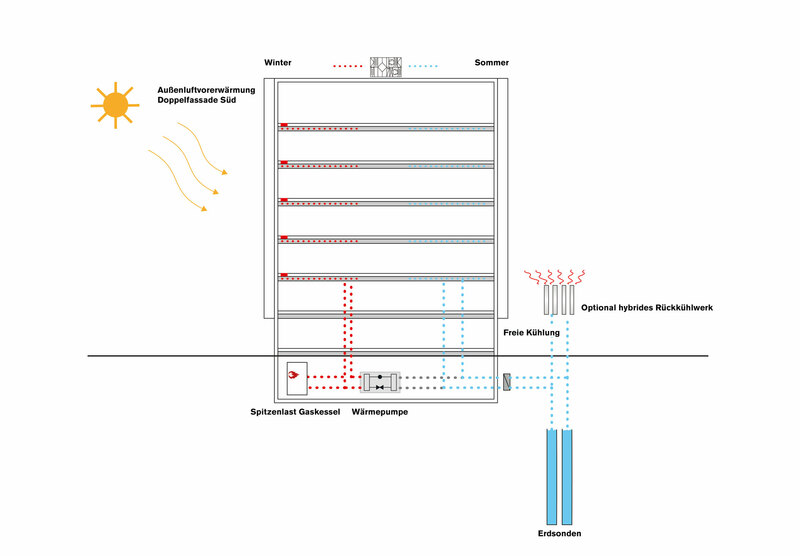 The active concrete heating and cooling system is minor effected by these acoustic elements. The acoustic concept utilizes the integrated layers, an acoustically active carpet and acoustic elements in the separation walls. 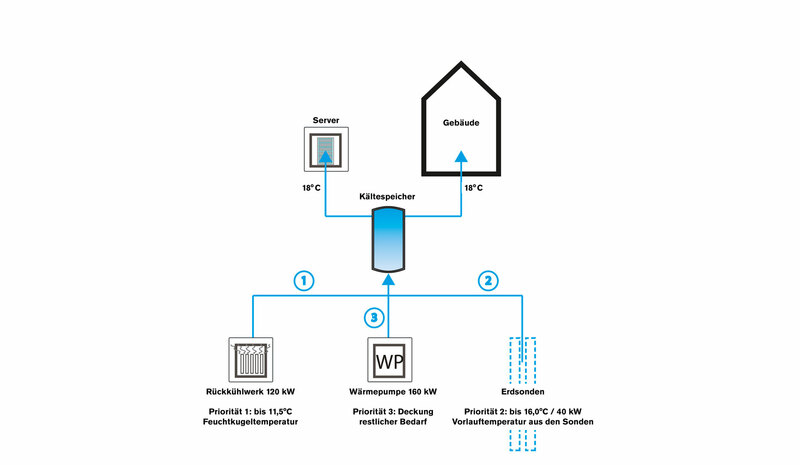 The energy supply system is based on a low temperature heat pump which is supplied by geothermal piles. 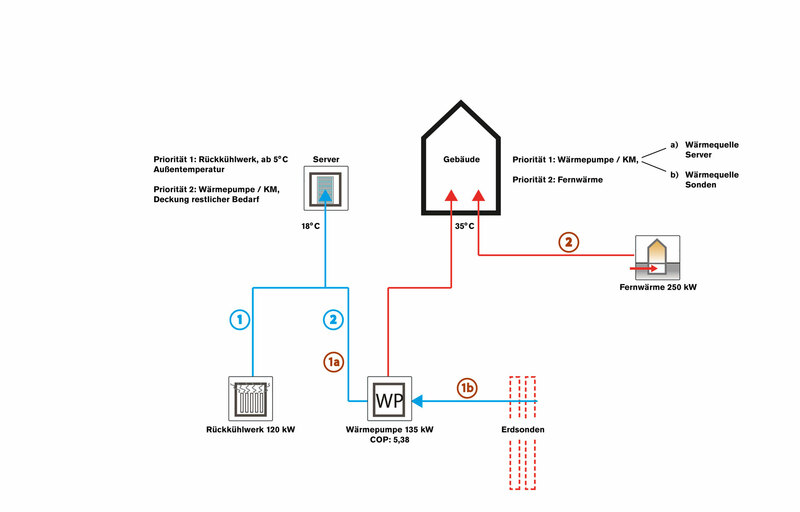 The use of the server heat rejection significantly improves the efficiency of the system. The geothermal piles are also used for free cooling of the concrete core system during summer. The building can be operated on low CO2-emissions due to the high building standard and the highly efficient heating and cooling generation.